The year of 2013 saw three major defeats in three different ways for AIPAC, the so-called “pro-Israel” lobby group heretofore thought invincible by some (it is important to note that the policies they push for are not pro-Israel, but harm Israelis a great deal, albeit far less than the Palestinians). The push to bomb Syria was a fight they only reluctantly got into, but it was a resounding defeat. Though it previously seemed like an impending victory, AIPAC’s opposition to diplomacy with Iran also seems to be heading toward a major defeat. And this week, Congress went on hiatus leaving the United States–Israel Strategic Partnership Acts of 2013 — in both the House of Representatives and the Senate — floundering in committee. The acts appear likely to disappear when Congress reconvenes, although they could still be revived in 2014 before new elections. These bills represent strong evidence that AIPAC is becoming a victim of its own hubris, pushing hard on an issue they never had much chance of winning. In addition to some meaningless provisions, this bill involved one that would have included Israel in the United States’ visa waiver program. The unusual art of this was that Israel — unlike every other participant in the program — would not have to reciprocate in waiving visas for US citizens. The bill immediately raised hackles not only among US diplomats but even on Capitol Hill, where special benefits for Israel rarely raise even an eyebrow. Taken together, there is reason for optimism even beyond these three setbacks for AIPAC and its neoconservative fellow travelers. One of these setbacks, Syria, was a defeat that AIPAC couldn’t win even with the President of the United States ostensibly on its side. Another, Iran, was a defeat despite Congress always being in its corner. And the third was a defeat AIPAC completely miscalculated its own reach, something that has not happened in my memory. This all shows a wide array of ways in which AIPAC is declining, as I believe they are. And that’s even before we factor in how much Israel is doing to make AIPAC’s job more difficult with Israel’s ever-more brazen refusal to end the 46-year long occupation of the Palestinian people. The visa issue was an obvious loser. The immediate negative reaction to it made it pretty clear that AIPAC was not going to win. That should have ended it, and I believe that up until a few years ago, AIPAC’s leadership would have been smart enough to back off right away in the face of obvious Washington disapproval. But in 2013 they made a different decision, and this reflects AIPAC’s diminished ability to assess the temperature of the Hill, although they are still better at this than most. It is crucial, however, not to go overboard with glee at the prospect of AIPAC’s impending demise, which at this point would still be greatly exaggerated. While the visa waiver bill seems, at least for the moment, to have died, a much more important piece of legislation, a part of the Defense Authorization Act for 2014, passed the House 399-0 before they went on their ill-deserved vacation. This legislation tripled President Obama’s request for $96 million for defense cooperation with Israel over and above the $3.1 billion in annual aid. Should current US-brokered talks fail, as they are almost certain to do, the United States will need to have as much leverage over Israel as it can muster, and this bill saps the US’ strongest chip. This law is a big win for AIPAC. 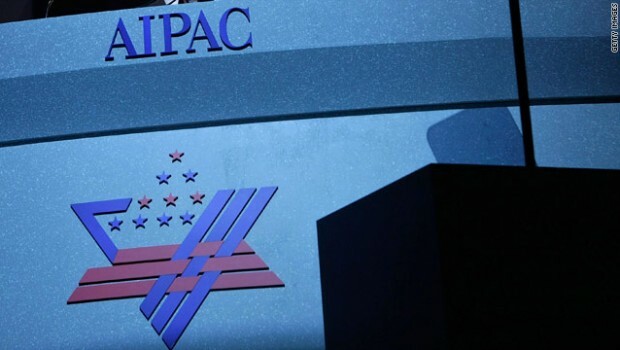 AIPAC’s massive setbacks are real, but it is also consolidating its efforts around its traditional strengths: opposing the peace process and, most of all, securing money for Israel. Its losses this year are historic and represent a turning point, but this only calls for greater, not lesser efforts against it. The next battlefield will be the blame-game after the Kerry-brokered talks fail (I say next because I believe the fight over Iran is already engaged) and whether AIPAC will be able to control that narrative. I won’t be surprised if they can’t. AIPAC is now winning some and losing some, and that is a change from the past twenty years, at least. This will be a long road, but I believe we are seeing the end of the fearsome Israel Lobby as we know it, and I feel fine. If Mondoweiss, a site where Jews are compared to Nazis likes you, you are indeed a KAPO.